Denver Pyle’s Children’s Charities recently made a donation to T.G. Givens Early Childhood Center for their natural outdoor playground. 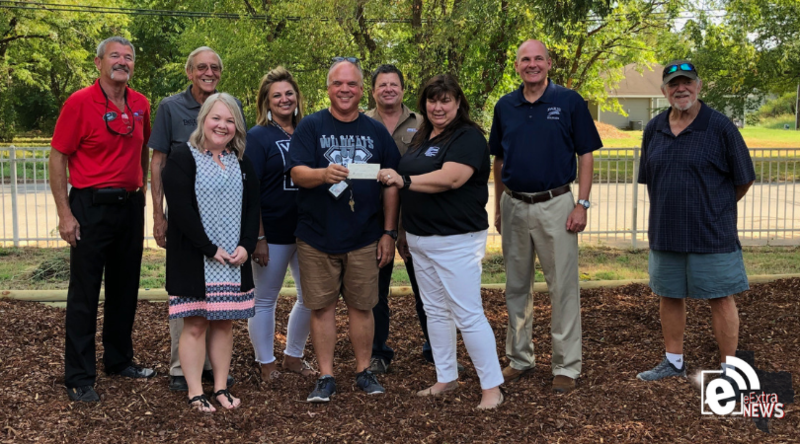 The donation helped the school purchase natural outdoor play equipment for the children to play and experience a natural outdoor setting. Pictured from T.G. Givens Early Childhood Center are: Sheila Ensey, Shawn Reeves and Paul Jones. Pictured from Denver Pyle are: Henry Shaw, Steve Martin, Courtney Wiles, Mike Herron, Lisa Walker and Rick McDougall.